Ayurveda is the 5000-year old science of health and longevity that forms the core of traditional Indian and Tibetan medicine. And the lifestyle, healing modalities, and its many bodywork treatments of Ayurveda make it today's most sought after form of traditional medicine for people looking to reduce stress, heal, and experience rejuvenation. A certified Ayurvedic Lifestyle Counselor, Melanie Sachs' skill as a teacher and therapist have made her sought after by some of the world's leading spas and beauty schools. Her book, Ayurvedic Beauty Care (Lotus Light Publications), is considered a must for those interested in the expanding field of natural and conscious body care. Along with his wife Melanie, Robert Sachs has pursued studies in Indian and Tibetan Ayurveda for over a decade. Recognized by such teachers as Dr. Deepak Chopra and other physicians of both eastern and western traditions, their published works in this field are considered to be the clearest and most usable texts available. 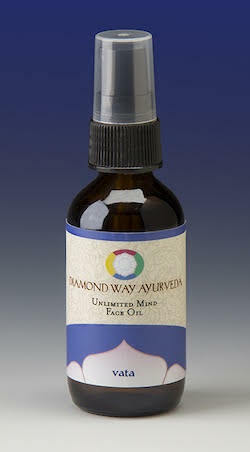 "The most delicious , nutritious oil for the body and face oils that I have now used for 20 years! 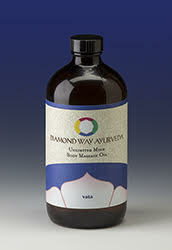 If you’d like more information about purchasing Diamond Way Ayurveda products, please contact us using this form.